Victoria's Secret model Leomie Anderson does dressed-down chic at star-studded Urban Decay dinner | HELLO! 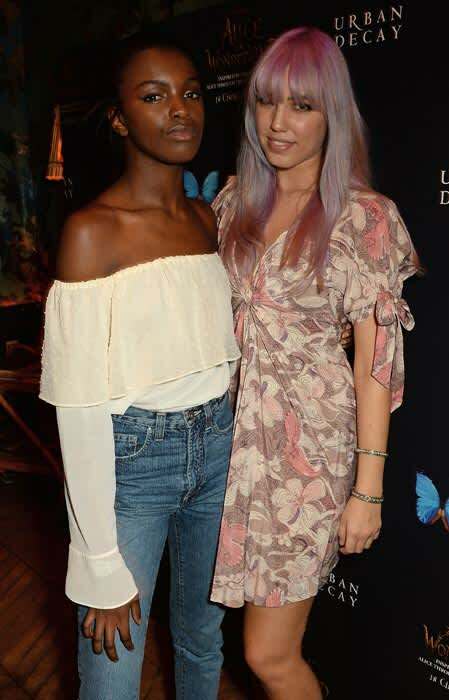 Leomie Anderson gave us a masterclass in casual chic as she stepped out for a star-studded Urban Decay dinner in London on Thursday night. The Victoria's Secret model looked amazing in a white, off-the-shoulder Bardot-style top that she paired with 'mom' jeans and white hi-top trainers. At the event, Leomie rubbed shoulders with a host of other stars including Amber le Bon, Lisa Snowdon and the Saturdays' Vanessa White. Amber was shocking off her new lilac-hued hair, which clashed expertly with her white, pink and beige tie-dress. The event was to celebrate Urban Decay's new Alice in Wonderland collection. The make-up brand is paying tribute to the whacky film with its latest launch, a limited-edition, bright make-up collection –n that, FYI, we are totally into. 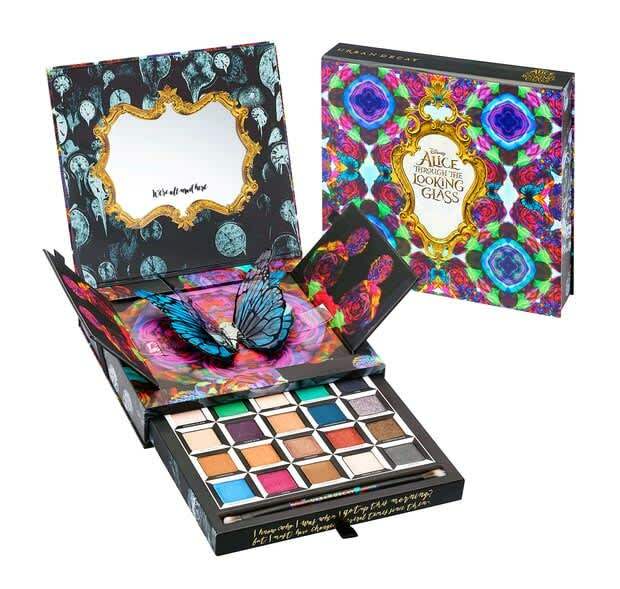 Especially the eyeshadow palette – it is a total work of art and while the colours are bold, they are wearable. The line of sheer, matte and shimmery tubes of lipstick are packed in typically quirky designs all based on characters from the classic Lewis Carroll story. For more information, visit http://www.urbandecay.co.uk/.